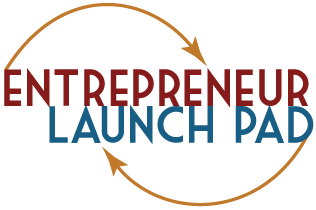 Entrepreneur Launch Pad is pleased to recommend this excellent free resource for new business owners. There are many excellent business building references in their reference library, and there are computers available for your use. Call them and arrange a time to counsel with the Director, Beth Holbrook. She gave me, Stefan Andrews, very valuable advice that helped me move my business forward. The Business Resource Center provides the Utah business community with access to tools and information to answer business questions and help strengthen new and existing businesses. It includes a publications library, computer workstations and knowledgeable staff ready to assist clients in their business endeavors – all free of charge. The center has also partnered with U.S. organizations like the Governor’s Office of Economic Development and the Small Business Administration to offer seminars, workshops and business-networking opportunities. In addition, the Salt Lake City SCORE chapter is currently co-located in the center. SCORE provides free personalized business counseling. Creation of the Business Resource Center is the first phase of Zions Bank’s plan to expand its support for business owners statewide. The bank is currently building partnerships with Small Business Development Centers located at Utah colleges and universities to help foster entrepreneurship in several communities. The BRC’s weekly “Taking Care of Business” newsletter was phased into the “The Daily Pulse” — a Web site dedicated to bringing the most current, daily news and information to the business community. “The Daily Pulse” collects all the day’s business news and information from newspapers, magazines, Web sites, blogs, chambers of commerce, business associations and government agencies. It also provides resource material for small business development, entrepreneurship, financing, marketing, human resources and customer service, among other topics. To subscribe to “The Daily Pulse,” please visit www.utahpulse.com and click on the “Subscribe” link on the upper right-hand corner of the home page. Unfortunately, there’s no instruction book in life. Fortunately, we have several for your business. The Business Builder “how to” guides are designed for all types of businesses, large and small, and for those individuals in the planning stages of a business start-up. Created with you in mind, they are easy to understand, contain worksheets with examples, as well as other materials you can access for additional information. The above documents are in PDF form. In order to view it, you will need Acrobat Reader. This free software is available for download by clicking here. Online tools and content that will serve as additional resources to help reduce business costs, remain competitive, save time, and provide information that is often difficult to find in one place. (Ex: Starting Your Business, Human Resources, Industry Solutions, etc.) Click here to access this site. Directly network with numerous business resources through our Business Link list. Zions Business Resource Center Website brings you weekly articles and Q & A sessions. Check back regularly to get information that you can use as an new business owner. Welcome To the Zions Bank Business Resource Center. A network of pertinent business resources for Utah business owners. Zions Bank has provided business resources for Utah business owners, including marketing your business, resources for managing cash flow,creating and finding sales channels, managing human resource and finding business insurance that is right for you. Our goal is to empower your business with the tools and resources you need to make the most of every opportunity and to achieve business success and reach your goals as a business owner. We update the content in Business Resource Center frequently, so we’d suggest you bookmark this page so that you can readily get to it when dealing with your everyday questions and challenges. Our business resource center is another example of our commitment to you to show that “We haven’t forgotten who keeps us in business”.